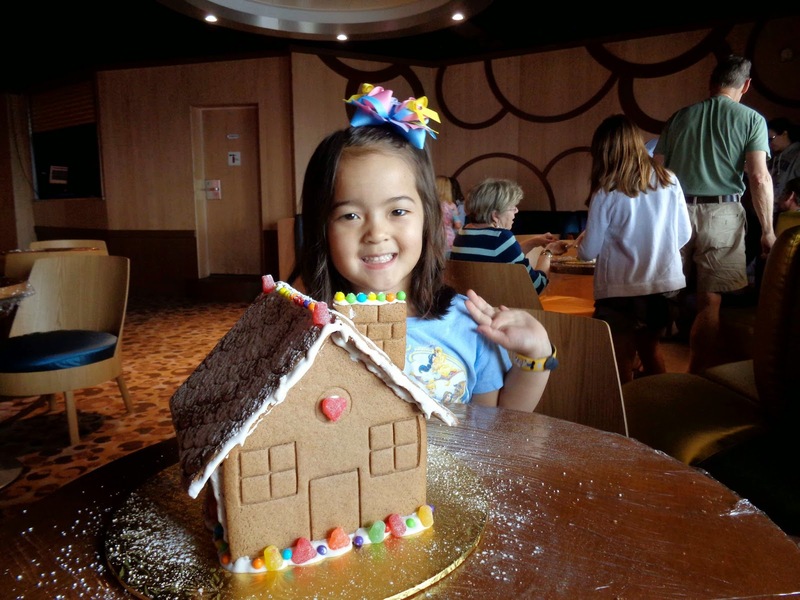 Katy in front of the life-size Gingerbread House, on the Disney Magic. 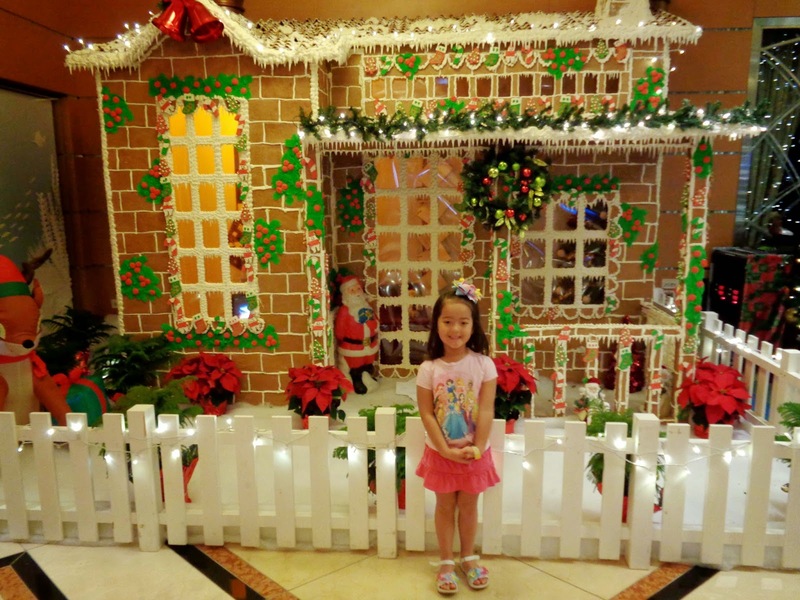 A girl and her Gingerbread house creation (Lil' Miss decorated it all by herself!). 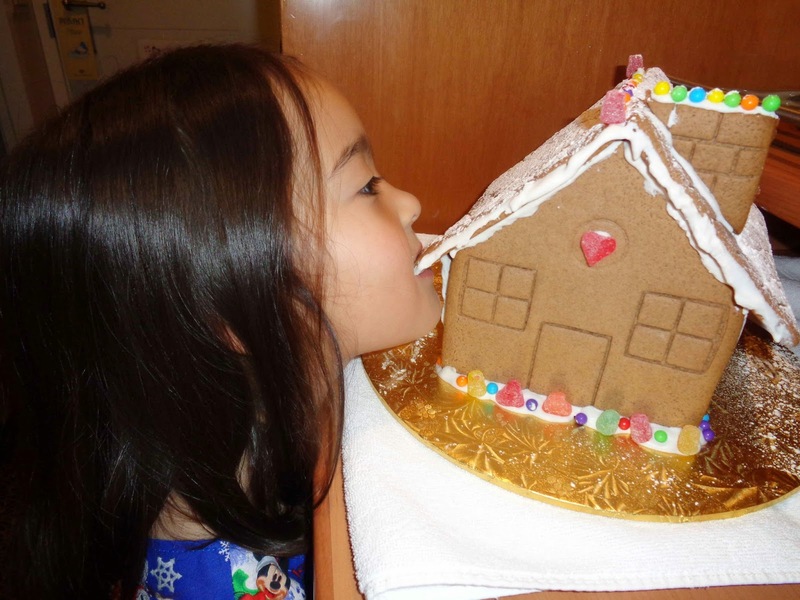 "Nom, nom, nom.... me love Gingerbread house!"